Achilles tendon (so called as this where the Greek hero Achilles was thought to have been vulnerable to attack and death) is the tendon that attaches the gastrocnemius and soleus muscle in the calf to the calcaneus (the heel bone). The Achilles is one of the strongest and largest tendons in the human body. The purpose of this tendon is to transmit the force of the muscle contraction to push off from the ground during walking, running and jumping. Achilles tendonitis is inflammation of the Achilles tendon or possible micro tears within the tendon. Micro tears can occur if the muscle/tendon is pushed to work to the limit and this usually occurs after a heavy training session. The pain can be caused by over use, poor and/or inappropriate footwear or following a calf strain. Footwear which rubs against the tendon can really irritate the tendon. 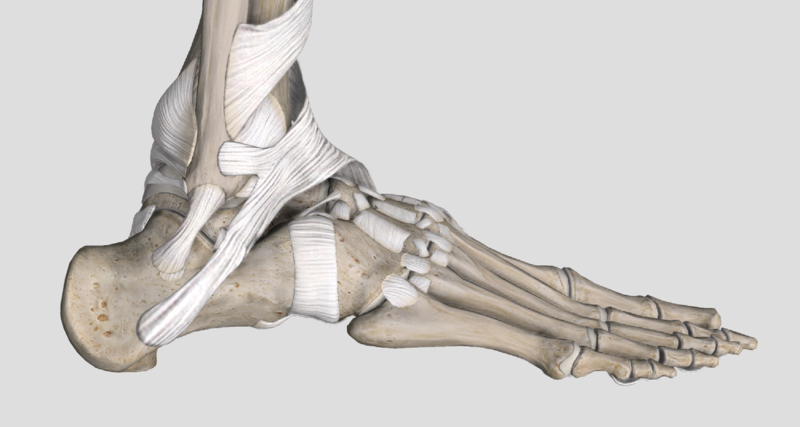 Poor support from footwear may also cause tendonitis and can also indicate other greater issues you may have with the strength of your ankle joint. Commonly found in runners who run middle to long distances. However it can also occurs as a result of an ankle inversion injury or blunt force trauma to the calf or the tendon. The pain is initially located on the Achilles tendon (from the base of the ankle on the heel bone to approximately a quarter the length of the calf). The pain is worse in the mornings but should ease after a few steps. There may be swelling located over and around the tendon. The pain will increase in severity during activities that involve running and/or jumping, but may also be felt during walking and standing depending on severity. Generally the pain will be sharp in nature although it could start off as a dull pain. RICE (Rest, Ice, Compression and Elevation) treatment. Rest requires you to stop activity, and limiting the amount of weight you put through your leg. Ice should be applied at the site of injury for 15–20 minutes every few hours. This will help limit the amount of haemorrhaging and swelling. Compression involves the application of a firm elastic bandage around your ankle. It should be firm but not to cause pain. Elevation involves lying with your ankle resting comfortably on a chair or pillows so that it is above the level of your heart. Once you have tendonitis you should either completely rest the tendon, or as we advise get it seen by a professional. This will not only confirm the diagnosis, but will get much needed treatment onto the tendon so you can return to action faster.